For the last few years, I’ve been on a serious working out and eating healthier health kick. My endurance has improved, I’ve toned a little…but I wasn’t losing much weight, which frustrated me to no end!!!! 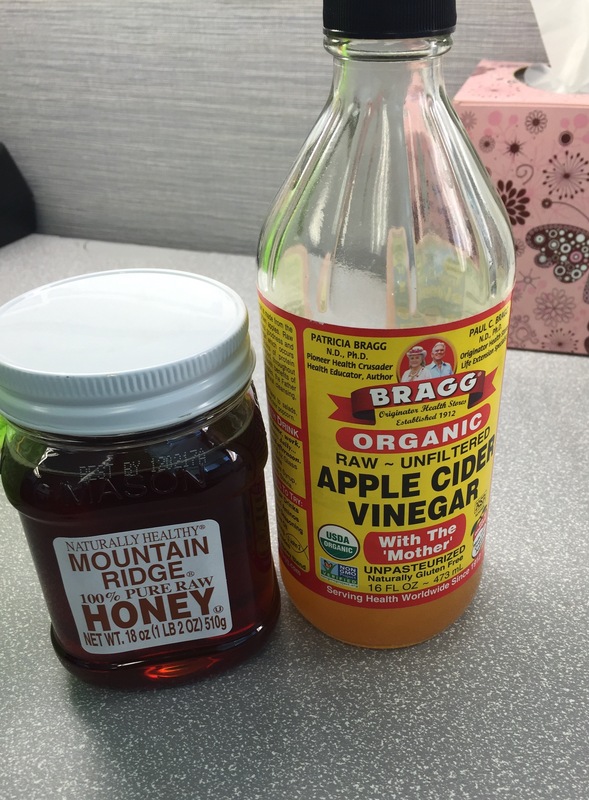 For years I’ve heard about people taking the Bragg brand of apple cider vinegar and losing weight. So, about a month ago, a friend posted about it on Facebook and I decided to jump on the bandwagon! I’m down 8 lbs so far, yipppeeeee!!!!! Now, I was already exercising 3-4 days a week, so don’t expect to lose without also working out and eating right. I’m way less tired during the day, which is a great added bonus! I really think the reason this helps you lose weight is because it really helps to clean you out if you know what I mean! I was already pretty regular, but now I’m even more regular! My skin has cleared tremendously! For the last few months I’ve been battling acne and acne scarring, ugh! I’m also using Bio-oil for the scars, but I’ve definitely noticed a huge difference in the last month. The scars are almost gone, yay! Here’s how I take mine, you can google all kinds of recipes but I add 2 tbsps of ACV to about 4 oz of hot water with a smidgen of raw honey. Right now I’m doing this in the morning and evening. The taste…well you get used to it is all I can say! There are tons of articles you can read if you don’t believe me. Here’s one that I found useful. Have you tried this before? I was skeptical at first, but now I’m a believer! Your recipe seems simple enough. I’m going to try it and if I can just get my skin to clear up I’d be happy.